Quality imaging equipment is crucial to providing the patients with adequate dental care. We use x-rays to identify our patients’ dental problems, guide themselves during treatments, and educate patients about the dental hygiene. This is something that helps us while taking images safely and effectively, offering various benefits, including- reduced radiation exposure by up to 90% compared to traditional X-ray machines, higher quality imaging, improve enhancement, simplified storage, easy exchange and various others. All in all, it is important too as without digital X-ray imaging dental practices and procedures would be more difficult. It is amazing and easy to use device that combines an extremely bright light source with a tiny and high definition camera. Our intraoral camera looks like a writing pen, and when moved around inside your mouth, it gives us the ability to see enlarged, detailed images of the surfaces of your teeth, as well as we can easily evaluate the condition of your gums, and other valuable information about the tissues inside your mouth can easily be obtained. Via the same, the results are instantly available for both patient and dentist as well as we can easily receive needed information, helps in proper planning your current state of dental health. Lasers are used to get various dental aspects, including the detection of cavities. A low-intensity laser can quickly identify weak spots in the enamel, which allow us to strengthen them to eliminate the risk for cavity development. Aside from this, laser diagnosis is best to be used for crown lengthening procedures to enhance the shape and proportion of the teeth. Nitrous oxide dentistry is one form of sedation dentistry and helps patients to be comfortable during the treatment. This is the type of dentistry where the patient is completely relaxed but alert enough to follow the instructions of the dentist during oral surgery. It is the best for children and patients who are phobic about visiting a dentist’s office. Root canal treatments are essential for correcting major dental problems, but the procedures are complex enough and must be carefully performed in order to avoid complications. To ensure that every root canal treatment is successful, we ensure to make the best use of the dental microscope, best to be used to identify the complicated root structure of each affected tooth. 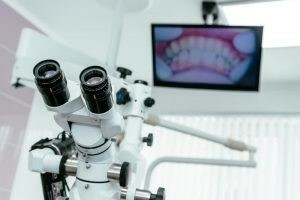 With the help of the dental microscope, we are able to obtain much higher definition and utilize better lighting, which supports a lot to enhance our ability to see in detail what’s going on. Via dental microscope we can see internal cracks, accessory canals, and other areas that are invisible to the naked eyes. It improves the enhanced visibility, which enables us to increase the success rate of every procedure. Our microscopes have still and video cameras, allowing us to show our patients real-time images on the TV as well as we can send images to our patients as needed. It has been used in dentistry for more than half a century, which is a procedure that is used on soft tissue in the mouth. Dental electrosurgical systems help with root canal sterilization including accelerating whitening agents and desensitizing agents. Talking about the benefits, it helps in sculpturing of living tissue without pressure, controlling bleeding and inducing heat in fluids.